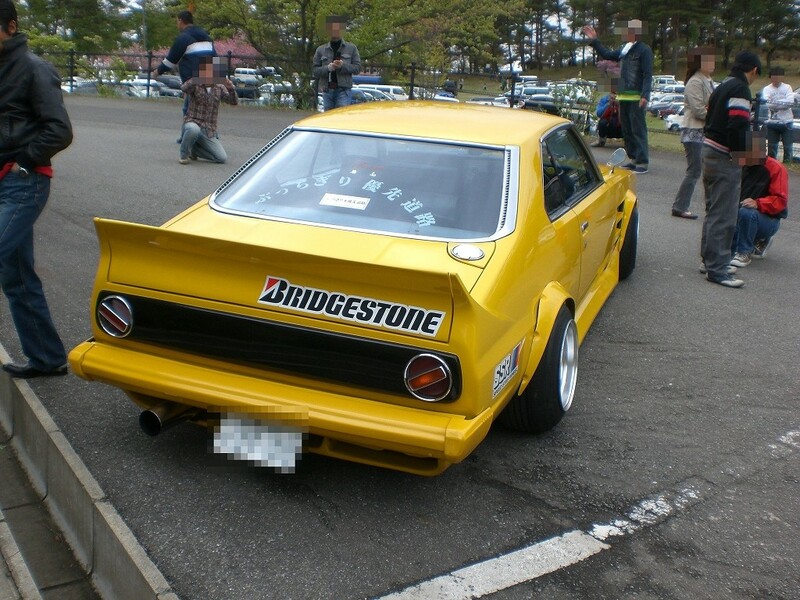 This time we feature the yellow Buttigiri sharknose Skyline C210! 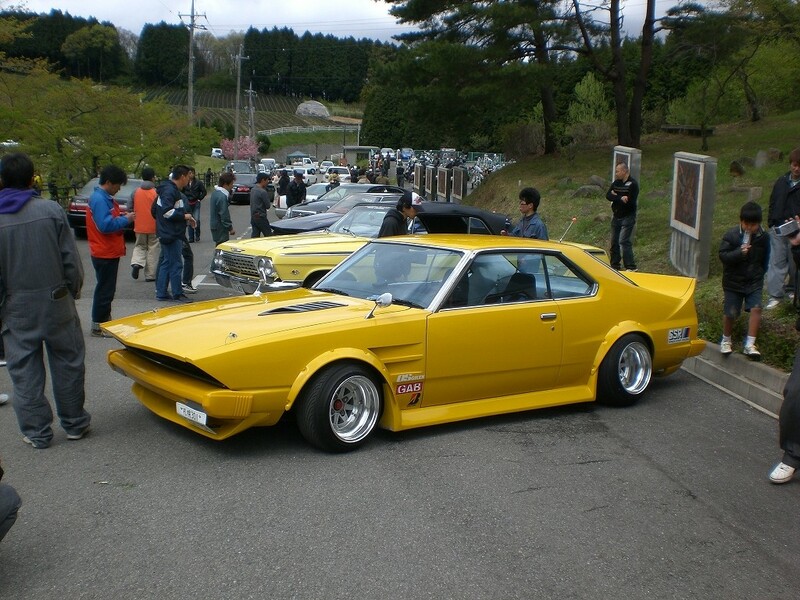 This yellow Skyline Japan is one of the best sharknoses I’ve seen so far! The nose has a sharp more than 45 degree angle and ends just far enough to give the original headlight a shadowy overhang. At the tail a lot of work was done as well: the tail lights were swapped for Datsun Cherry E10 Coupe (not the Cherry X1-R: they are a tiny bit different) and the rear spoiler lines just go nicely into the rear quarter panel, as if they were following that typical Skyline bob… Also the fuelcap relocation is done nicely! 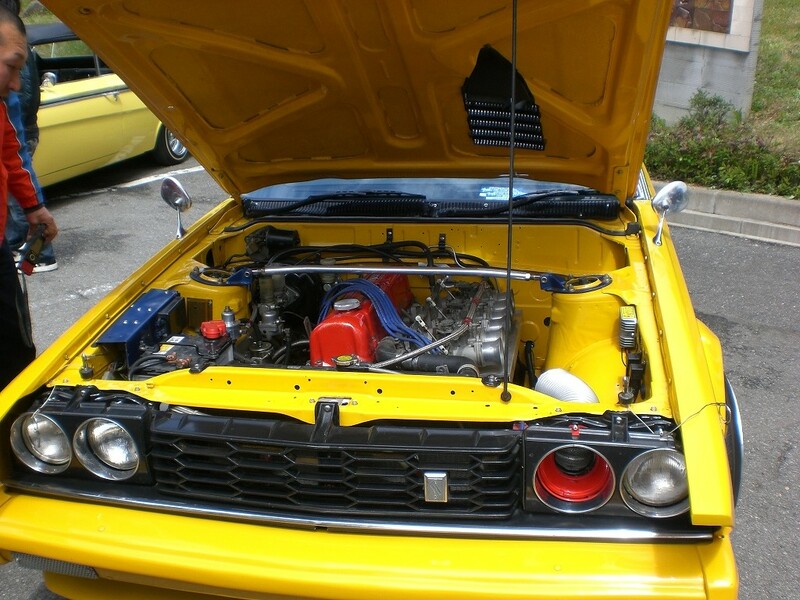 As you can see this car still has the original L20E it came with, but now upgraded with a set of 3 side draft carbs. Also the choice for yellow is a very good one: it became a really flashy car which suits the angular bodylines very well. All in all one of my favorite zokushas! 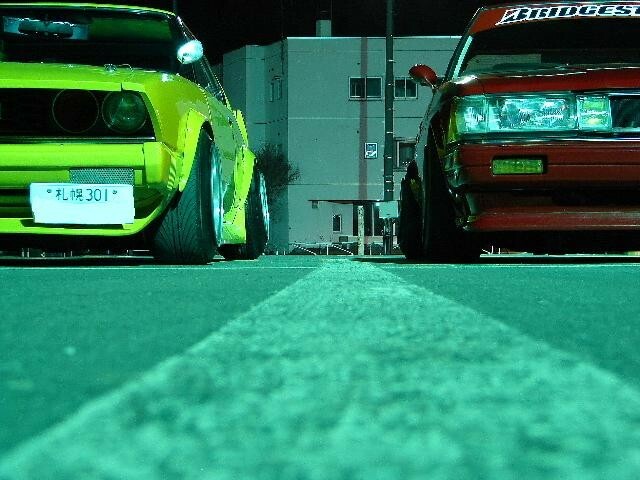 “T h e L a s t r u n” they did donuts in the middle of an intersection and sped off into the night. You mean these two videos? Yeah! Those are the ones.